Within weeks of my first job at a flower shop while still a teenager, I knew. I wanted not only to be a florist, I wanted my own studio. Ever since then flowers have been my focus and life – they are all I know. Cool Green & Shady is my dream come true. In early 2002 I launched CG&S within the quaint Beach neighbourhood of Toronto. We started as a gift store with a small assortment of flowers, with just my now husband and I running it alone. Over time I have been able to evolve the focus of the shop into my true passion; flowers. Now Cool Green & Shady is a busy full-service retail floral studio, with (in my humble opinion) the greatest & sweetest team of designers in Toronto. We are proud to be recognized for our floral designs which are regularly featured in wedding magazines (Wedluxe, WeddingBells, Elegant Weddings), home decor magazines (House & Home, Style at Home), and TV shows (Marilyn Denis, Rich Bride – Poor Bride, Exchanging Vows). Even though our studio has grown, and is now located on Kingston Road, we still continue to save some space for the lovely gifts that helped get us started on Queen Street all those years ago. Our cherished approach at Cool Green & Shady is to listen to our clients. For every one of our events, from first consultation until execution on the day of, our true mission is to bring your vision to life. And as well, of course, for our everyday orders, detail and care is put into every arrangement that is designed, as if it is being delivered to one of our own family or friends. 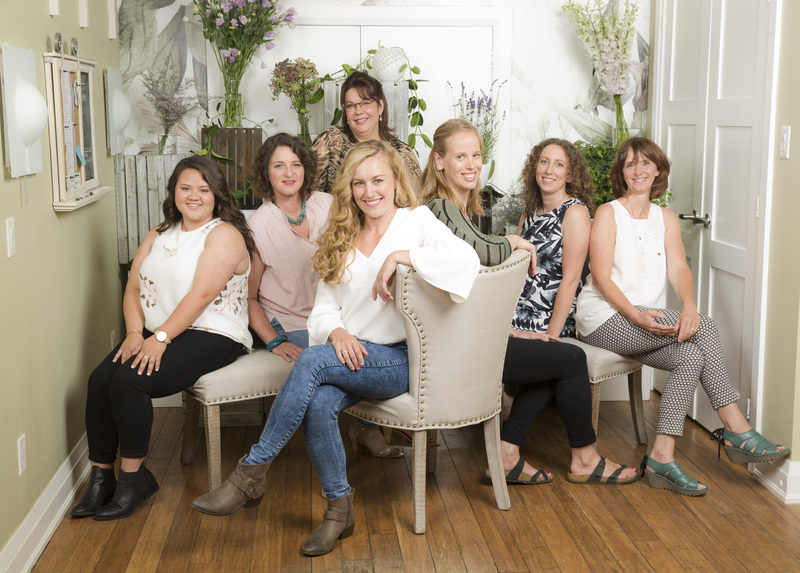 I look forward to meeting you, and introducing you to my amazing team (Joy, Stephanie, Karen, Maureen, Kristan & Christina) – we all love what we do!